From March 11th to the 13th, Animikii Thunderbirds Jeff and Chuck attended the fourth annual BC Tech Summit alongside 3,500 delegates and 1,200 other technology organizations from around the world. Jeff was also invited to speak at the event about Animikii and Indigenous technology. We caught up with Jeff and Chuck on their return to see how the event went, what their takeaways were, and what they found to be the most impactful part of the event.  Animikii: Why did you decide to attend the BC Tech Summit? 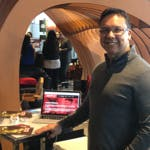 Jeff: It was important for me to represent Indigenous technology at a mainstream tech conference and to participate in showcasing the amazing tech innovations that are coming out of our communities. 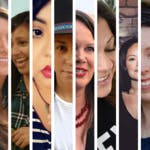 Indigenous voices have been left out of so many spaces and the tech community is one of them. The tech community often focuses on the importance of diversity in tech and Animikii is diversity in tech, in action! Chuck: I wanted to represent Animikii at a technology conference, and participate in the Indigenous / Stélmexw House. 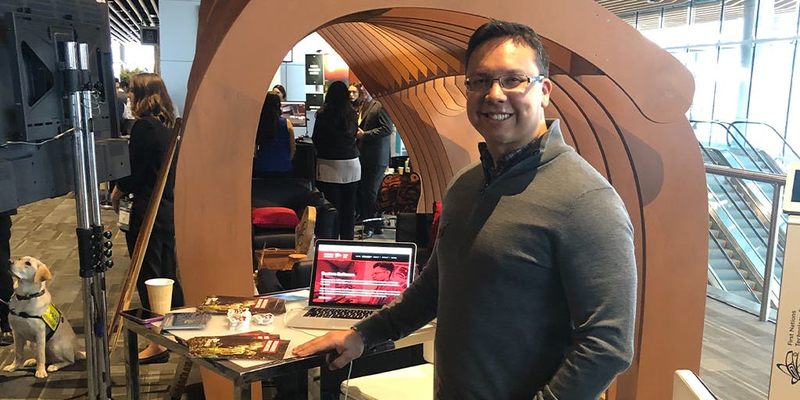 It was a great opportunity to talk to technology professionals from all over the province and to hear more about Indigenous innovation through other participants at the Indigenous / Stélmexw House. I was also excited to hear about technological innovation in BC in general and there were a lot of presentations that were addressing concerns about artificial intelligence (AI), which I am personally interested in. Animikii: If you spoke, what did you speak about, and how else did you contribute to the event? Jeff: The “Ones to Watch” stage featured under-the-radar innovators in British Columbia’s tech sector and we were lucky enough to be asked to present Animikii. I gave a 6-minute lightning talk to quickly showcase our company, our team and some of our projects. We were in some good company which included Loretta Todd from Indigenous Matriarchs 4 (IM4) who was there sharing their work in VR/AR/XR. Chuck: I spoke to individuals that visited the Animikii display at our booth inside Indigenous / Stélmexw House. 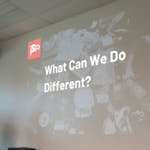 I had a chance to showcase some of our digital agency skillsets through our digital portfolio. I also had a chance to talk about our values-based culture, and how Animikii practices the culture through support for each employee, our Authentic Accountability Agreements, and how we practice the 7 Grandfather Teachings. Many people were interested in our work, and it was a great opportunity to show the intersection of technology and a values-based culture that makes Animikii a great digital agency, and a great place to work. Animikii: What part of the event did you find the most impactful? Jeff: For me, the biggest impact was the sense of camaraderie amongst the other participants of Indigenous / Stélmexw House who were all there with the shared goal of representing Indigenous technology. There are so many people doing impactful things through technology, and we’re all off doing amazing things on our own, that it’s great to get like-minded individuals together to celebrate each others’ accomplishments. Chuck: I enjoyed hearing all the presentations from the various members of Indigenous / Stélmexw House, and there were many great things that were said, but I really enjoyed the territory acknowledgement that was spoken before the presentations. The territory acknowledgment was clear, and it was given in a respectful and proud manner - I found it wonderfully refreshing, and as a person that doesn’t often hear territory acknowledgements, I couldn’t help notice the crowd’s reaction too, and I was pleased to see some receptive body language from the crowd. It was wonderful to see the statement and acceptance of the audience. Animikii: Why do you think it’s important for Animikii to reach out in this kind of capacity? Jeff: The very presence of Indigenous / Stélmexw House in this mainstream tech event will have a lasting impact on the tech community. 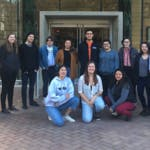 It is important that Animikii be present at these kinds of events when we are invited by our partners such as the First Nations Technology Council and to support their advocacy efforts because we share many of the same goals as Indigenous-tech oriented organizations. Chuck: It is very important for Animikii to represent Indigenous innovation and business success. Animikii is a great example of an Indigenous-owned company which promotes Indigenous professional talent. I believe that the more Animikii reaches out within a local, regional, and global context, the better it will be for other companies that believe in Indigenous innovation, Indigenous data sovereignty, and Indigenous roles in technological innovation. I also believe that the values-based company culture could benefit every company or entity - every company or entity should care about employee development and the intersection of cultural values with employment goals. The practice places a great focus on the care of the employees. 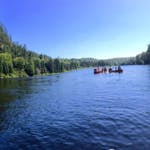 Animikii is a registered B Corp and that type of company culture also expresses concern for our place in our communities and responsible resource use. 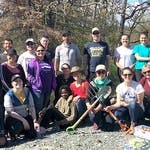 It also places an emphasis on our role in stewardship, resource use, and consumption. We care for the places we work, we care for the places we live in, and other communities. We respect the environment locally and globally. 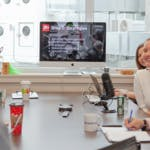 B Corp representation is another example of a great company culture and the intersection of business goals with Indigenous cultural values. Animikii: Which of the 7 Grandfather Teachings do you think was most expressed at the event? Jeff: It is not often easy to put yourself out there and represent an idea, a movement, or even yourself. 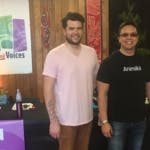 With Humility and Courage, I feel like this event was a good example to be of service to our partners and the greater tech community, which also took a fair bit of Courage to get up there and speak to hundreds of people about Animikii & Indigenous tech to a community that has not always been inclusive of Indigenous voices. Chuck: Personally, I felt that Courage and Wisdom were expressed at the event. I felt that every person that visited Indigenous / Stélmexw House could see our commitment to our professional work, and also our commitment to our culture, and Indigenous innovation and wellness. I wore my Animikii T-shirt which has the Seven Grandfather Teachings on the back, and I felt very honoured to share our commitment to the teachings with people that were curious about Animikii and Indigenous / Stélmexw House in general. Many people were very receptive to our model of values, and I think perhaps they could see that the model is ancient, wise, and true. Like this article? Check out our DIGITAL COMMUNICATIONS services page for information on how Animikii can write blog posts for you just like this one!